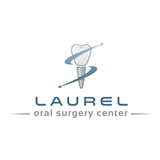 Laurel Oral Surgery Center (Laurel) - Book Appointment Online! Trevann Lyn, DMD, Laurel, MD, practices a full scope of oral and maxillofacial surgery with expertise ranging from corrective jaw surgery to wisdom tooth removal. We can also diagnose and treat facial pain, facial injuries and TMJ disorders, and perform a full range of dental implant and bone grafting procedures. I loved the entire staff at Dr. Lyns office! From the front desk staff to the dental assistants and Dr. Lyn himself. Everyone is so friendly and kind. I felt like I had been going there for years and it was my first visit. Awesome team ! !